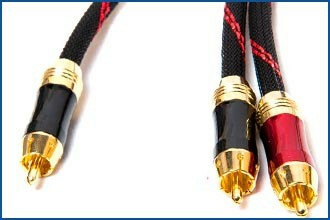 Introducing Proaudiovisual's ULTRA PREMIUM, Range of Stereo Audio Cables. Part of our new range of interconnect cables, this 'ULTRA PREMIUM' 1-2 RCA Cable is designed for exceptional quality sound performance. Featuring tripple shielding and toroidal ferrite core to further minimise signal degradation from High Frequency EMIRFI Electronic Noise. Perfect for use with Subwoofers which have dual inputs! 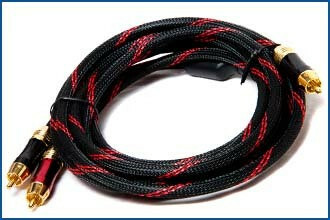 This cable is perfect for connecting your subwoofer to your home theater amp or receiver. Most amps have only a single output for the subwoofer and this cable breaks the signal into 2 so you can connect to both inputs on the sub. 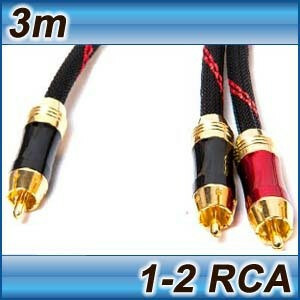 This Subwoofer Cable is guaranteed to be of the highest quality. If you are not 100% satisfied with the quality and performance of this item simply return it to us for a full refund including postage. This cable is also available in other lengths. Just click Subwoofer on the navigation panel to the left.